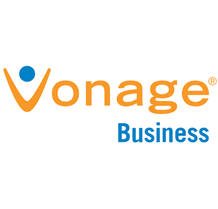 Vonage transforms the way people work and businesses operate through a portfolio of cloud-based communications solutions that enable internal collaboration among employees, while also keeping companies closely connected with their customers, across any mode of communication, on any device. Communication Is a Seamless, Unifying of Collaborative Solutions for Employees and Meaningful Connections with Customers. time, anywhere in the world, through text messaging, chat, social media and voice. In addition to our transformative business solutions, all Vonage support teams, from Service Delivery to Client Services to Customer Care, are an extension of your team. We share ideas and information to ensure a consistently exceptional experience. 0	jplist-folder-All-Posts-340 jplist-folder-Featured-483 SPIFF-SPIFF	jplist-topic-Spiff jplist-topic-Vonage	1	04/15/2019 15:52:25	Earn up to 4xMRR!!! 6	jplist-folder-All-Posts-340 Data-Sheet-Data-Sheet	jplist-topic-Cloud-Communications jplist-topic-Collaboration jplist-topic-contact-center jplist-topic-CX-Cloud jplist-topic-Integrations jplist-topic-Programmable-APIs jplist-topic-SD-WAN	0	10/17/2018 15:10:53	Vonage® Business’ industry-leading contact center as a service (CCaaS) solution, Vonage CX Cloud, is powered by Vonage’s SDWAN solution, SmartWAN. Offering a 99.999% uptime¹ reliability and the strength of an unparalleled proprietary business network, the CCaaS solution brings high-quality voice to an open cloud platform that delivers a flexible, reliable customer interaction every time and ensures that agent-to-customer communication is always clear and effective. 7	jplist-folder-All-Posts-340 jplist-folder-All-Posts-340 Promotion-Promotion	jplist-topic-Ccaas jplist-topic-Cloud-Communications jplist-topic-Collaboration jplist-topic-contact-center jplist-topic-CPaaS jplist-topic-Programmable-APIs jplist-topic-Salesforce-Integration jplist-topic-SD-WAN jplist-topic-Ucaas	0	10/17/2018 15:04:21	Empower Your Teams. Elevate Your Customer Experience. Cloud-based reliability.Enhanced quality of service. Vonage Business Cloud + Vonage for Salesforce Bundle $24.99* per line, per month. Visit Vonage.com/Channel to Get Started! *WITH TWO-YEAR AGREEMENT, PLUS TAXES AND FEES. CUSTOMER MUST HAVE AN ACTIVE SALESFORCE ACCOUNT TO USE VONAGE FOR SALESFORCE. OFFER VALID THROUGH 12-31-18. 8	jplist-folder-All-Posts-340 jplist-folder-All-Posts-340 Data-Sheet-Data-Sheet	jplist-topic-CPaaS jplist-topic-Customer-Engagement jplist-topic-Engaging jplist-topic-Nexmo jplist-topic-sms jplist-topic-Text-Messaging jplist-topic-Ucaas jplist-topic-Vonage jplist-topic-VonageReach	0	10/25/2017 13:36:30	VonageReach enables you to send tailored text messages to the right person, at the right time, with little to no human intervention! Mobile devices are the most ubiquitous, immediate, and attention-grabbing form of communication. As a result, text messaging (SMS) is the most immediate, attention grabbing, and cost-effective communication channel there is. VonageReach is a complete SMS platform that enables you to send SMS messages to numerous customers or individual alerts to the certain people at the right time - all automatically.